Jon Stewart had Stephen Colbert, Bruce Springsteen, and one of the biggest audiences in "Daily Show" history bid him farewell. A total of 3.5 million viewers tuned in for Stewart's final "Daily Show" on Thursday night, according to Comedy Central. Of that viewership, 1.8 million fell between the prized advertising demographic of 18 to 49 years old. This was the show's second most-viewed episode in terms of total viewership following a 2008 episode that featured Barack Obama just days before he was elected president. The network said the episode also brought in 1 million streams via its Comedy Central app, DailyShow.com and Hulu. In terms of other late night goodbyes, Stewart beat out Craig Ferguson's 2014 farewell and the finale of NBC's "Late Night with Conan O'Brien" in 2009. Stewart also beat out the last episode of his friend's Stephen Colbert's "The Colbert Report" which brought in 2.5 million viewers in December. Many of Jon Stewart's former correspondents returned to give him a big farewell hug. 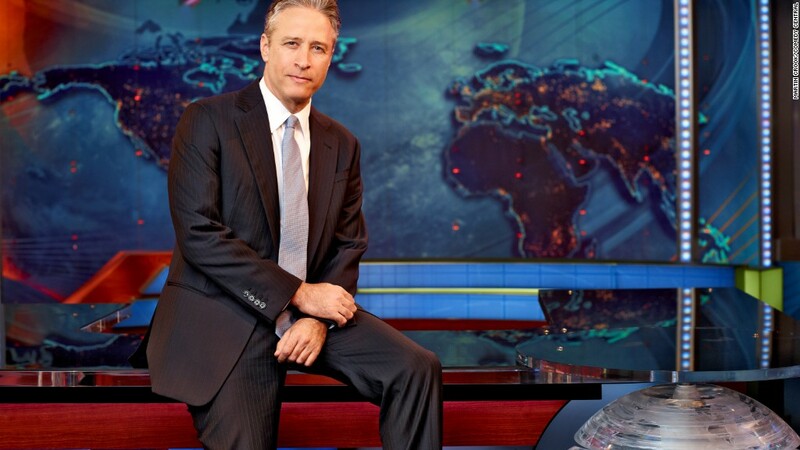 The final Stewart "Daily Show" was considered by many to be a "love fest" for the host, which brought back back many of the former correspondents from Stewart's tenure including Colbert, John Oliver, Ed Helms, and Olivia Munn. One of Stewart's favorite musical acts, Bruce Springsteen and the E Street Band, was also on hand to wish the host a fond farewell. Yet, even on his big night Stewart was overshadowed by one of his greatest rivals, Fox News. The cable news network's telecast of the first GOP debate brought in a whopping 24 million viewers making it the highest-rated primary debate in TV history.